FILIP is a smasher from Japan who mains Falco and Diddy Kong in Brawl and Mario in SSB4. 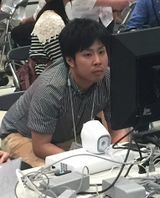 He is considered to be one of the best Mario players in Japan for SSB4. He is currently ranked 47th on the JAPAN Power Rankings. He has a win over falln. This page was last edited on February 9, 2019, at 01:28.